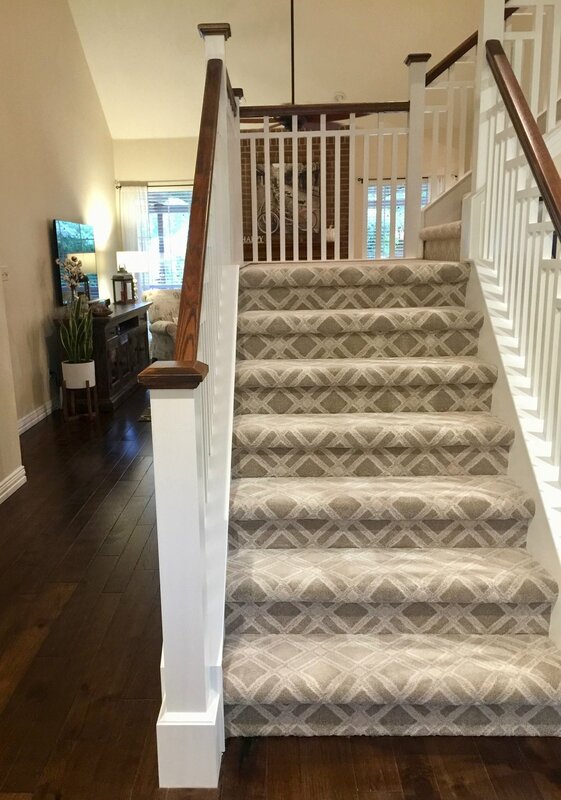 Looking to take your 90’s staircase to present day? Add a bold pattern and new spindles to completely transform your entry. 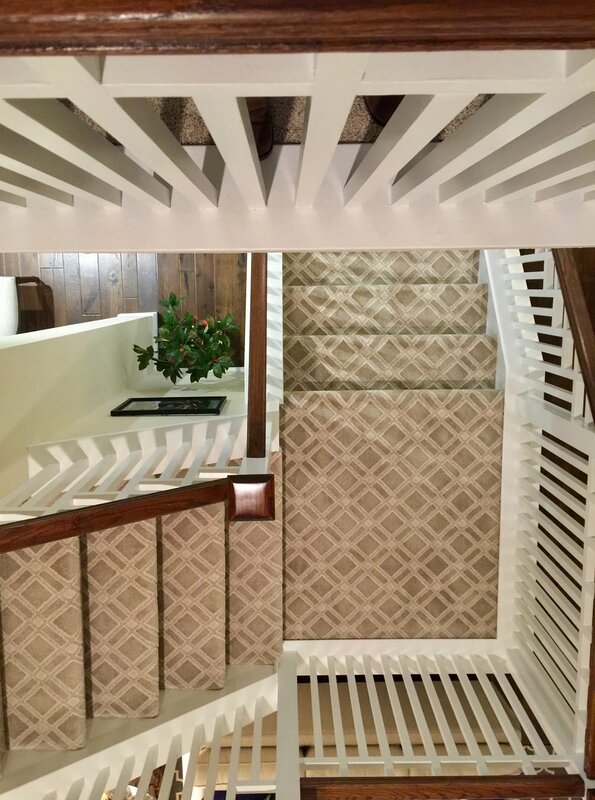 Paddy, in Plano, Texas used an Anderson Tuftex pattern and fresh white spindles to give her home a new look. Read to the bottom to hear about her experience with Winston Floors + Countertops. Paddy Feller of Plano, Texas explains her experience with Winston Floors + Countertops. Q: What was the best part of your experience with Winston Floors + Countertops? A: The best part was going to the showroom, I liked going there and picking out my carpet first. Q: What was your experience like with the installers? A: I loved the installers, they are the best. They are hard workers, no complaints! The installers are a goldmine. Q: Why did you go with this particular carpet for your stairs? A: I LOVED the pattern and the color!